What should you do the time comes to convert your RRSPs into retirement income? There are two basic options available to supplement your other sources of retirement income. RRIF’s (Registered Retirement Income Funds) give you control of your capital and the freedom to invest the money as you wish on an ongoing basis. You can choose guaranteed investment RRIF’s, mutual or segregated fund RRIF’s, or a combination of these investments.RRIF’s give you flexibility and drawing income, subject to minimum withdrawal rules. You can adjust RRIF income to changing circumstances and have access to emergency funds. Keep in mind that excessive withdrawals could reduce future income eventually exhaust a RRIF. Annuities could be the security of the guaranteed income for life, or until age 90. Once you purchase an annuity, you don’t need to worry about making ongoing investment decisions. Indexed annuities may provide inflation protection. Interest rates are a key factor to consider in deciding when to buy annuities. Many people would like to have the security of a guaranteed income, and the flexibility to choose their own investments in control of their income. One product alone can’t do it all. But by diversifying retirement income vehicles, you may be able to balance these objectives and give the best of both worlds. If you like certain features of each, you might split your RRSP money between RRIF’s and annuities as market conditions or circumstances change. For example, a person might put most of their RRSP money into RRIF’s at retirement, and then move some into annuities when interest rates rise, or as a become less interested in making investment decisions. 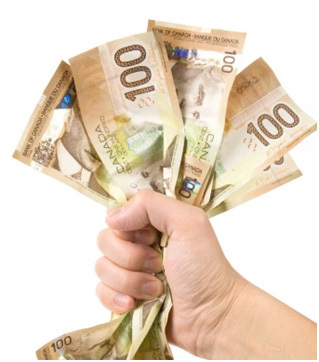 Turning your RRSPs into income is a big financial decision. As a specialist in retirement income planning you are welcome to call me to help you in choosing the options that best suit your retirement goals, needs and lifestyle.